Rapid protein use is desirable immediately before and after exercise to help refuel recovering muscles, but delayed digestion and absorption may be more beneficial at other times – including bedtime when your body typically goes for hours without food. 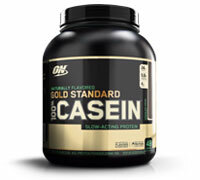 Casein proteins are sensitive and tend to thicken in the stomach. Because of this, it can take more than twice as long for our Gold Standard Natural 100% Casein to be broken down into its amino acid subcomponents than other proteins. 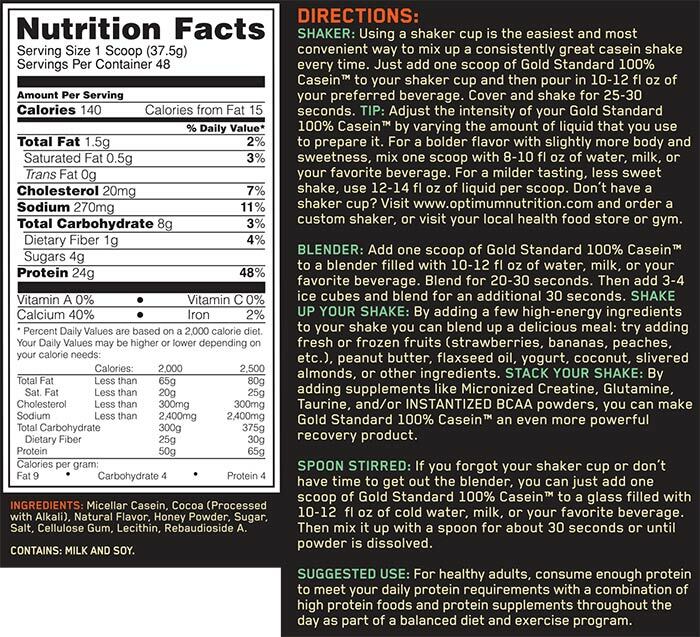 Gold Standard Natural 100% Casein is also free of artificial flavors, sweeteners, and synthetic colors and uses only premium micellar caseins to create a protein that’s truly time-released.